Italy has warned Germany not to deport migrants back to Italy. 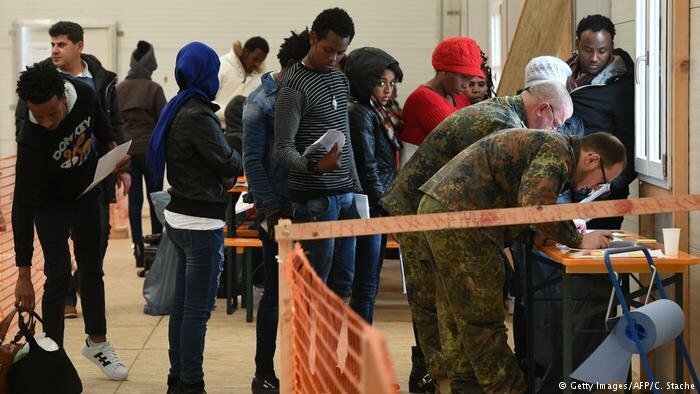 Reports say the German state of Bavaria is preparing to send asylum-seekers back to Italy, insisting that the cases must be processed at the point of entry. German news agency DPA has learnt that authorities in the southern German state of Bavaria were planning to start deporting large groups of migrants back to Italy. 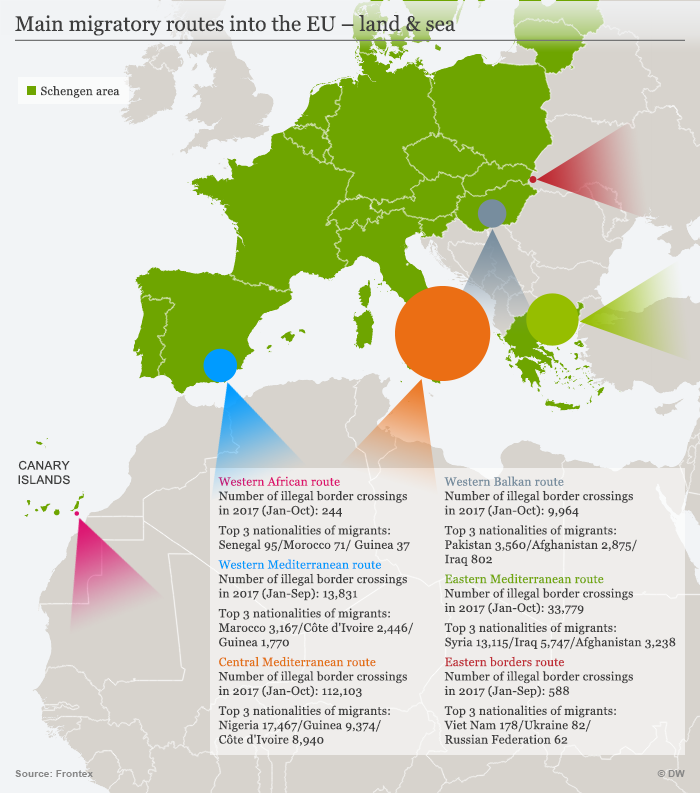 According to the European Union's Dublin Regulation, the cases of asylum-seekers must be processed at their point of entry into the 28-nation bloc. As a German border state, Bavaria is a point of entry into Germany from other European nations. DPA said it was unclear whether German authorities in Bavaria would go ahead with deportations amid rising tensions with Rome over the migrant issue. The flights would normally have to be accompanied by federal police officers, and would thus have to be coordinated with Berlin. The regional Bavarian government, supported by federal Interior Minister Horst Seehofer, has taken a hard-line stance on immigration, insisting that migrants have to be sent back to their point of entry into the EU. Seehofer caused a major row in Germany's governing grand coalition, even drawing criticism from within the conservative alliance, including from Chancellor Angela Merkel. On Twitter, Italy's populist, far-right Interior Minister Matteo Salvini warned Berlin and Brussels on Sunday that "unauthorized charter flights" would not be allowed into the country. "We will close the airports, as we have already closed the ports," Salvini added. According to DPA, the first migrant flight from Munich to Italy, carrying around 40 asylum-seekers, could depart as early as Monday, with the second flight planned for October 17. Italian daily Corriere della Sera also reported that Bavaria was planning the flights. Several of these migrants are originally from Nigeria, the news agency said. It was unclear whether the authorities in Bavaria have informed the Italian government about their reported plans. DPA said that Bavarian officials neither denied nor confirmed the reports. 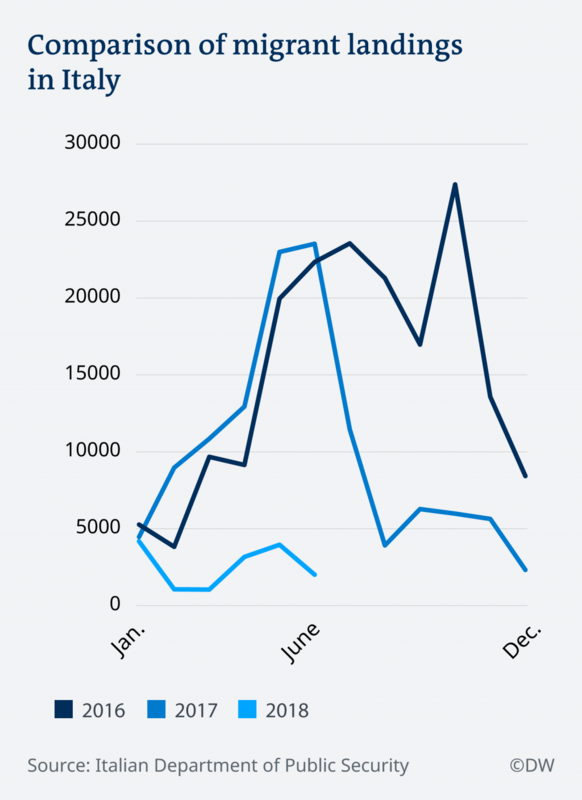 In the first half of this year, Germany as a whole returned at least 1,692 migrants to Italy. According to Italian newspaper, La Repubblica, EU countries send back about 10 migrants per week to Rome, Milan or Turin. These migrants are then taken to reception centers. Italy's new populist government demands that other member states take the migrants in, going as far as threatening to withhold EU payments if assistance is not given. In August, Italy's Deputy Prime Minister Luigi Di Maio said the EU had "decided to turn its back on Italy." Hundreds of thousands of asylum-seekers have arrived in Italy since 2013, fleeing war, persecution and poverty in the Middle East, Africa and Asia. "Last year in the period up to August, 100,000 migrants arrived and the European Union did little or nothing. This year we had fewer than 20,000 landings, and the European Union is still doing little or nothing. So I am still willing to debate, but more recently, we've also been talking with some non-European Union countries, such as Albania, Serbia and Montenegro," Italy's Interior Minister Salvini told DW in an interview last month. The EU's Dublin Regulation states that people must seek asylum in their country of arrival, but Italy's new government has increasingly barred boats from docking at its ports.